When the end of summer rolls around, I still get that back-to-school feeling, even as an adult. 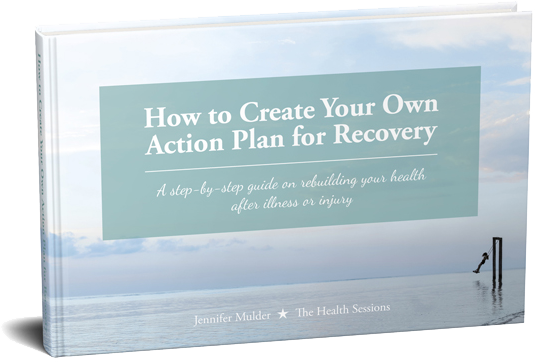 The holidays are over and most of us are readjusting to our ‘normal’ daily life again. 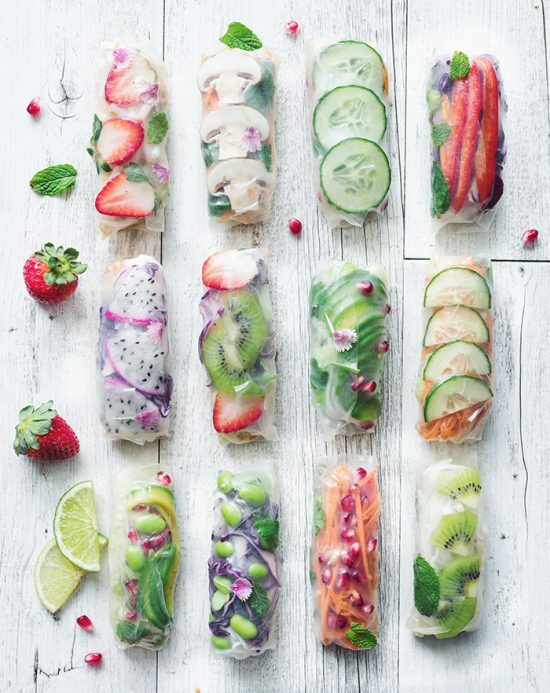 Which makes September the perfect time for making healthy changes! 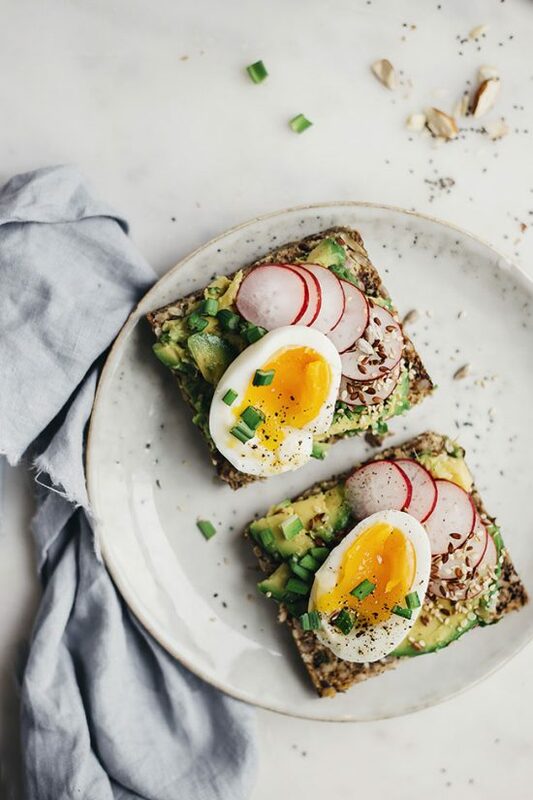 One way to shake up your health routines is to give your regular office lunch a little upgrade. 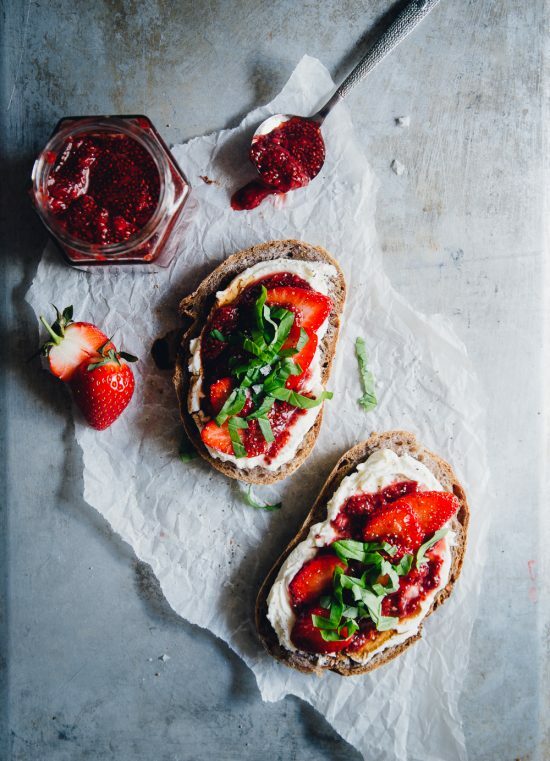 Ok, admittedly, these delicious lunch ideas require a little more prep than your average peanut butter and jelly sandwich. But they do pack a punch in the nutrition and taste department! 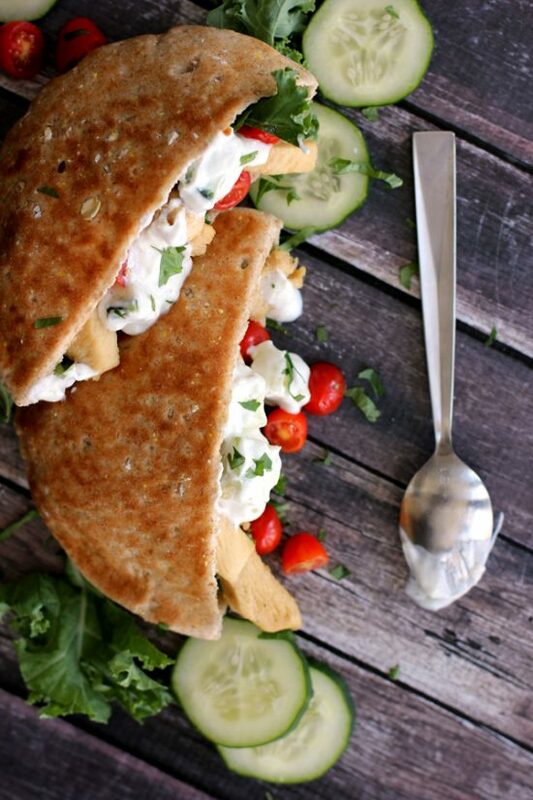 So bring a healthy packed lunch to work or school with one of these 15+ appetizing lunch ideas! There’s nothing wrong with a good old ham and cheese sandwich. 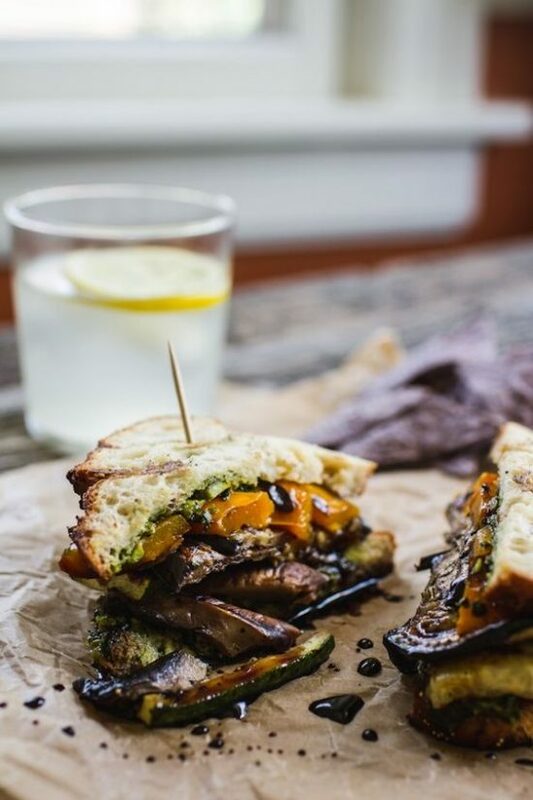 But if you’re looking for a flavorful and nutritious change, why not take your brown-bagged lunch to the next level with one of these veggie-packed options? In my home country the Netherlands, lunch traditionally equals bread. 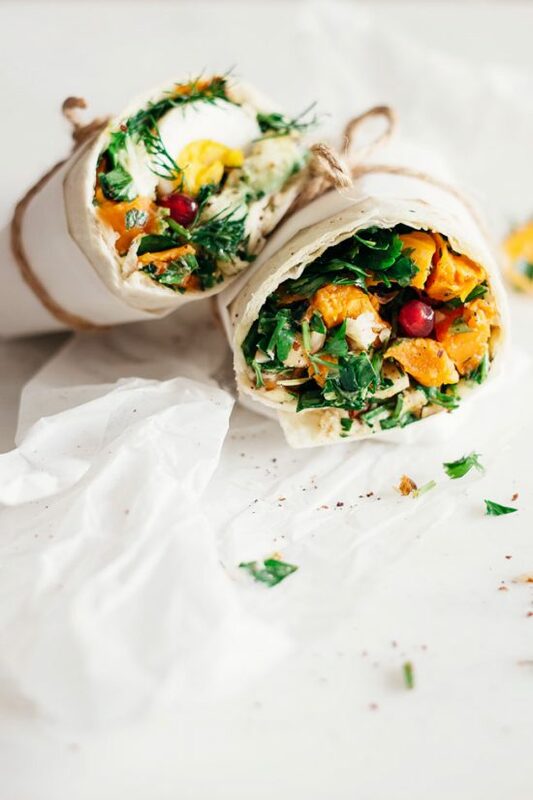 But food items like wraps, pita pockets and rice paper rolls are a welcome carb-lovers alternative – and they’re so easy to stuff with healthy and delicious fillings! 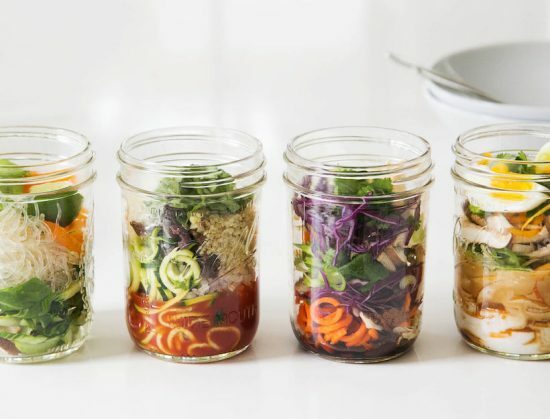 Packing your lunch in a mason jar or a thermos instead of your lunchbox opens up a whole new range of healthy lunch ideas: crispy, filling salads, noodle pots, soups or even a hot lunch. 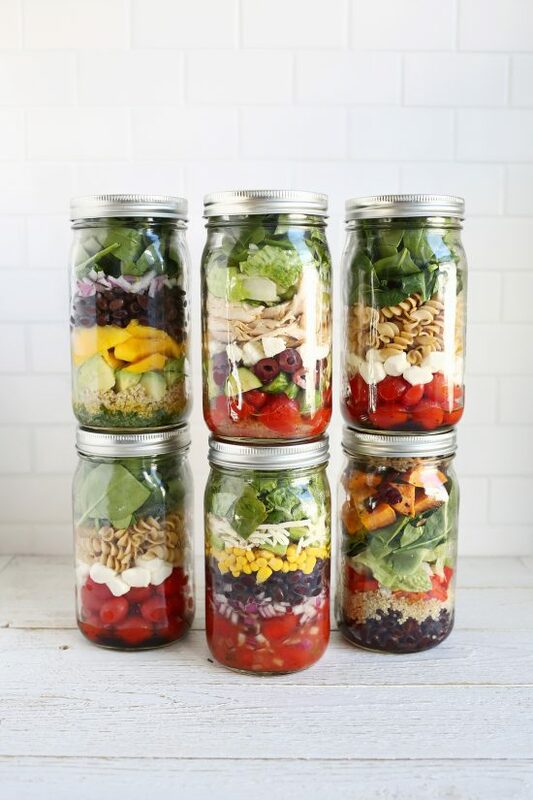 “Salads in a jar” is a simple idea with endless varieties. 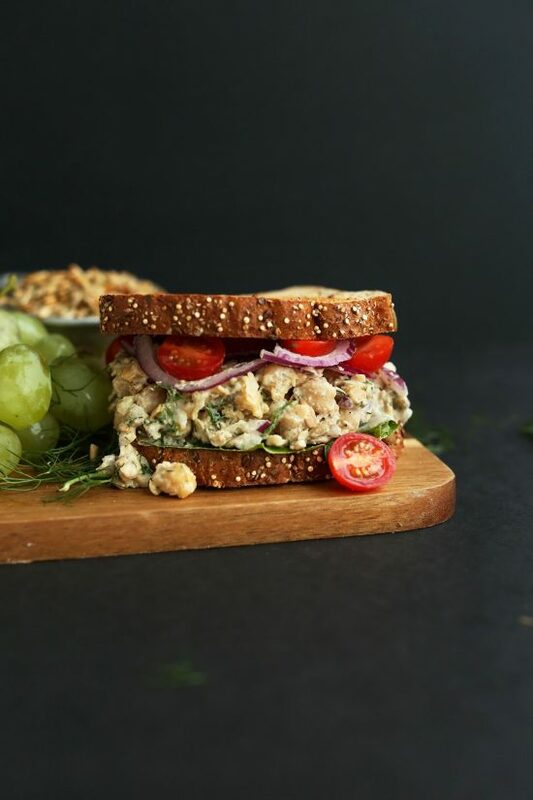 Try the black bean and corn salad, tomato and mozzarella pasta salad or quinoa and sweet chicken salad from A Beautiful Mess or follow this template to build your own version. These noodle pots are a healthy, modern version of Cup-a-Soup — you just add hot water when lunchtime rolls around! 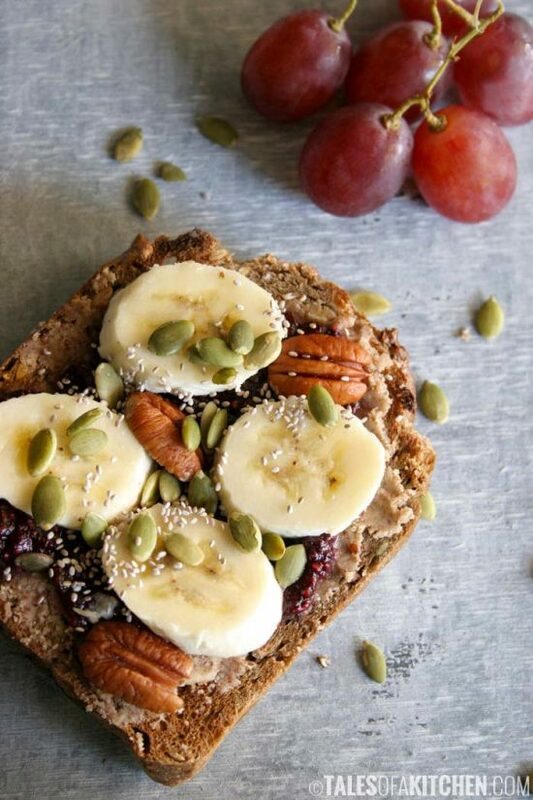 Do you craving something a little more warming than a sandwich or salad? 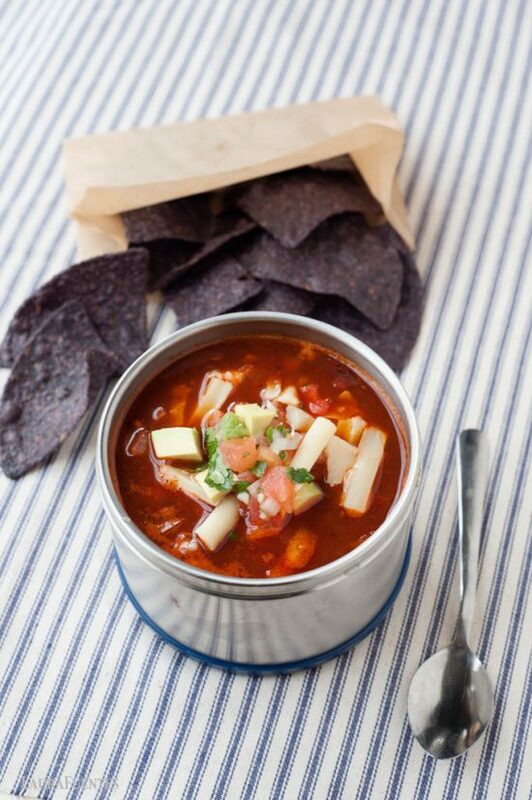 Bring a hearty soup to work or school with you in a thermos can or insulated food container. 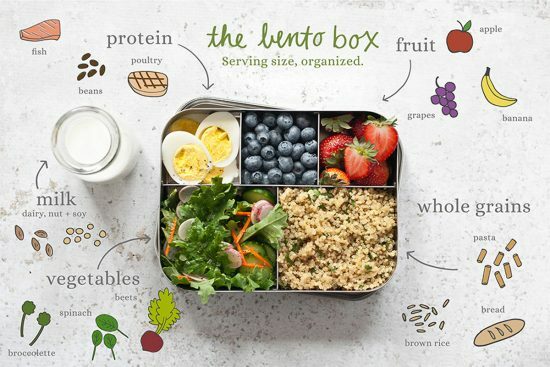 A bento box turns your everyday lunch into a feast for one. Appetizing and practical, you can carry lots of different foods in one single container. Not so much a recipe, but more a useful template for creating your own delicious bento box. What will you put in yours? 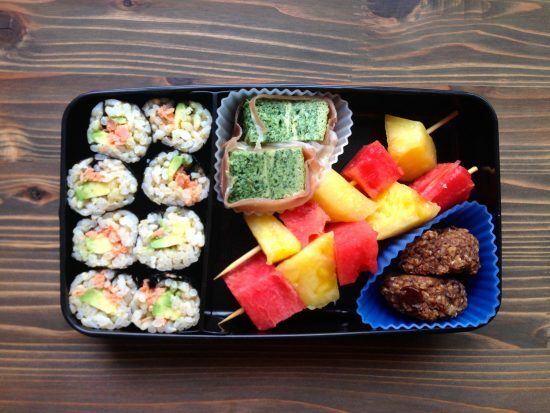 Real Food Bento Box from Frugal Nutrition – with salmon-avocado onigiri rolls, spinach frittata, fruit kebabs and oat cookies. Yum! 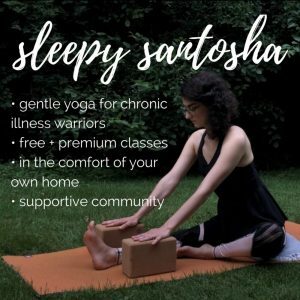 Not a fan of grains, sugar and dairy? 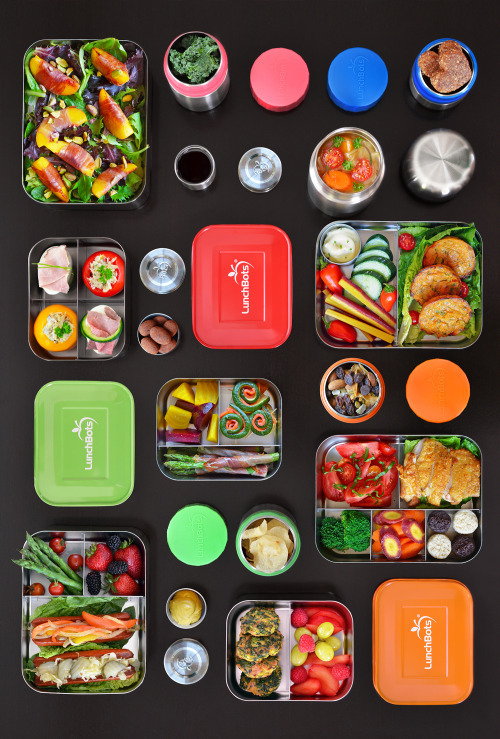 Look no further than these hearty lunch boxes packed spicy tuna cakes with crudité, zucchini and smoked salmon pinwheels or a salad with prosciutto-wrapped peaches. 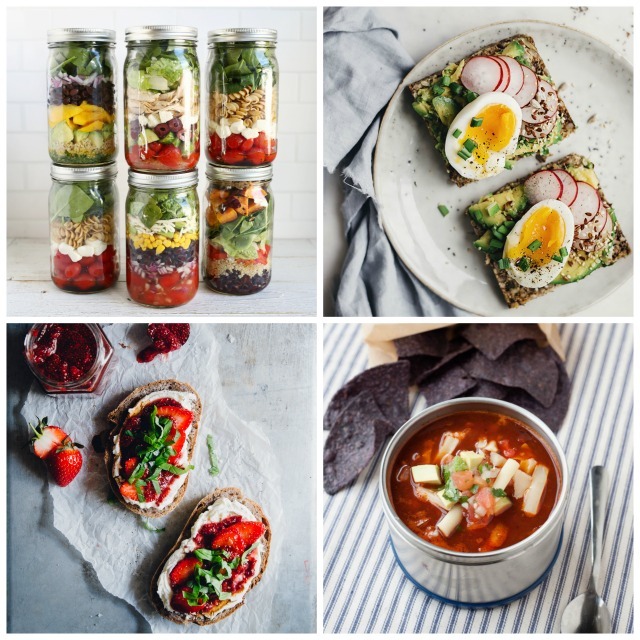 For more inspiration for healthy packed lunches (and grab-and-go breakfasts), check out “The Portable Feast” from Jeanne Kelley. 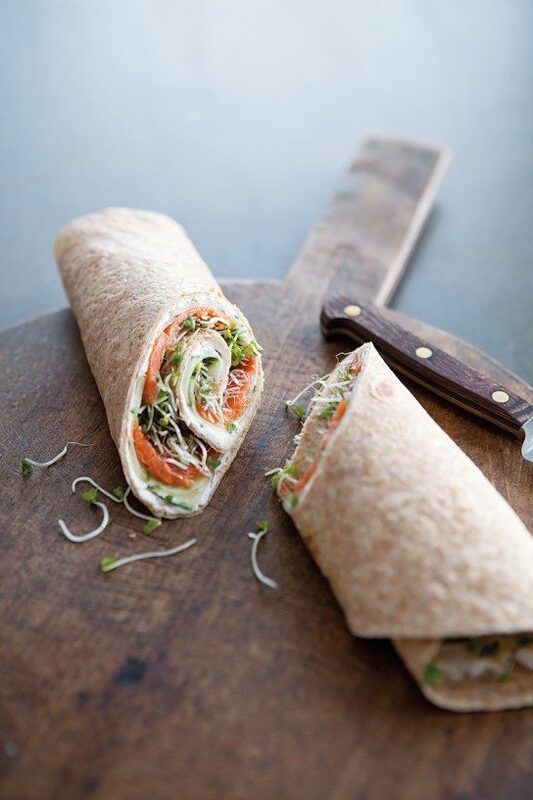 What kind of lunch do you like to bring to work or school with you?